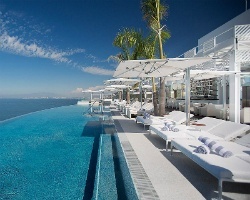 *Hotel Mousai* in Puerto Vallarta, Mexico sets the pace for a new generation of designer hotels for guests aged over 18, offering exclusive experiences by the beach and delicious pampering in unrivaled tropical surroundings. 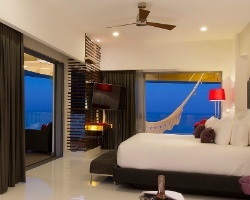 The first and only AAA Five Diamond rated resort in Puerto Vallarta and the state of Jalisco, Hotel Mousai’s fresh flirtatious aesthetics and cutting-edge comfort will inspire you to live sensationally. To discover more, please visit www.hotelmousai.com. Great deal! Includes 11,000 Banked Pts for 4 additional yrs in the luxury suite. Membership is at Hotel Mousai in the Garza Blanca Preserve!